Why is Timber the most advanced type of Building Material? Follow these 5 easy steps to ensure that your sundeck is well cared for and kept looking as beautiful as day one. Before you attempt to make any repairs to your deck or even if it is just general housekeeping and maintenance ensure that you are working wit a clean surface. Loose wood fibres and dirt can easily be removed by applying water with a pressure house. This will allow for a deep cleanse. While you attempt to do this ensure that you don’t apply the force of water to one specific spot as you take the risk of gouging the wood. Once throuhrougly cleaned allow the deck to dry out for 12-24 hours. Should you encounter any nail pops carefully remove these with the back end of a hammer. We suggest that you rather make use of screws as they are more effective in handling the wear and tear of wood. Longer screws will keep the wood together for longer and avoid injuries by popping out when too much pressure gets applied. Repair damaged planks by carefully removing them. Make sure to replace with the same wood that was originally used to build your deck to avoid visible differences in wood. Carefully cut wood with jigsaw and safely secure with screws. Even though pressure-treated lumber resists insects and decay, it’s still vulnerable to moisture and the sun’s rays. To preserve it without changing the colour, uses clear wood preservative that contains a UV protector, which will bring new life to the surface while protecting it from the elements. Timber is a type of wood that is used to make furniture, boats, musical instruments, and much more. Builders also use timber wood to build the frame of houses, pillars for bridges and larger buildings. Timber trees are usually grown through the forestry industry where thousands of trees are grown for the benefit of the various industries. Over the last few years timber has become extremely popular and the demand for it is high. As a result of high demands, timber trees are becoming endangered however there are plans on how to we can save them. There are different colours and textures of the wood; from yellowish-brown to dark brown and red. When you compare timber to concrete or steel, timber is more efficient because of its different properties. Timber is economically feasible, it is sustainable and renewable which means that one can grow more trees after it is cut down. Timber is more fire resistant than other building materials and an advantage of building with it is that it is easy to assemble. Architects and other professionals in the industry have noticed that steel and concrete require more resources. The industry produces a huge amount of land and air pollution and this is one of the main reasons why timber has been in such high demand. Timber reduces the carbon footprint and the manufacturing or cutting of the wood is more environmentally friendly. Timber cannot bend under pressure but can sustain an increasing amount of pressure without breaking or allowing the structure to collapse. It also makes a great heat conductor because wood is a good insulator from the cold therefore this property will ensure that your building is always warm. When it comes to the inner structure of the building, timber is the most advanced to use because it does not expand,and is resistant to heat therefore the wood gets much stronger with the heat unlike steel and concrete. Another advanced property of timber is that it can absorb sounds and echoes thus if you are building a hall or theatre it is advisable to use timber for its benefits. Utilizing timber in your building is preference to your framework since every one of the properties that it contains will furnish you with a strong structure. At Timbacore, you can get access to top quality wooden balustrades to suit all tastes and designs. 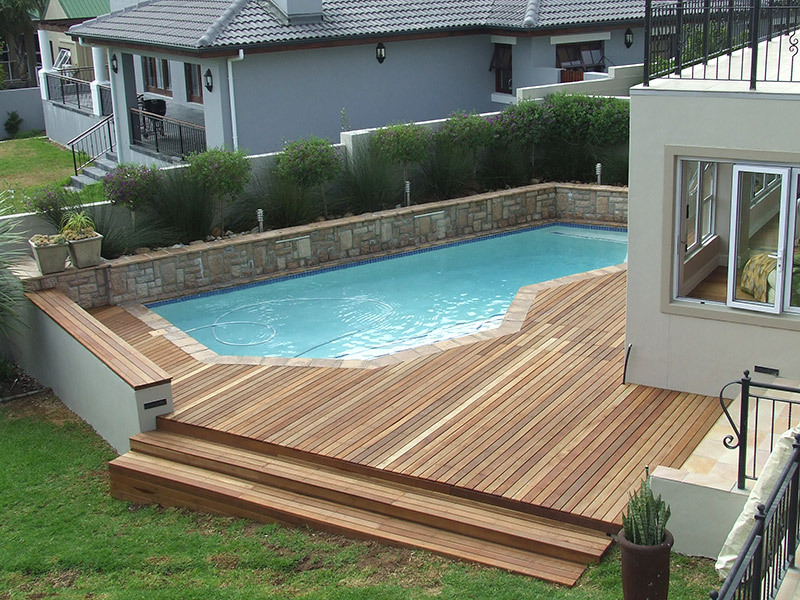 Wooden balustrades provide an unrivaled level of elegance, while also adding value to your deck or home. Choose from an extensive range of options from Timbacore, while we also offer complete flexibility when it comes to installation. We can manufacture balustrades and install them at your property, or you can fit them yourself. Alternatively, we can provide you with the materials needed and you can do it all in your own time. Wooden balustrades are highly decorative and often used to enhance fine architecture, while the wooden look is something that doesn’t get old. Wooden balustrades will require some maintenance to ensure that they remain in the best condition, but the warmth and natural appearance is perfect for home interiors – where they are not constantly battling tough weather conditions. Our balustrades are manufactured to the highest standards, to ensure that they last for years to come without cracking and chipping. We also take pride in providing the highest level of service, with our skilled staff able to provide neat and efficient installations that met the set deadlines. 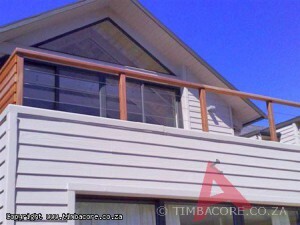 If you would like to find out more about the wooden balustrades at Timbacore, contact a consultant today. A balustrade is a row of small posts, which are known as balusters. These posts are made from steel, wood and sometimes metal; they are commonly found on terraces, balconies and stairways. Balustrades provide support for buildings and are used as a form of safety in places where crowd control is a concern. Balustrades are used in a vast variety of shapes and materials for both decorative and practical purposes. The most popular materials used for staircase balustrades at the moment are either wood or stainless steel; the choice depends on your preference. Both these materials are great for balustrade designs; but timber is best for a modern or traditional look. It offers flexibility in style, materials and a finished look. Timbacore custom-manufactured wooden balustrades are made from flexible material that can be carved into a variety of shapes and finishes. We use three types of wood to manufacture the strongest balustrades; balau, latte and pine. Our wooden balustrades are timeless in their elegance, and they are affordable and easy to install. There are many benefits to installing balustrades, but the biggest and main function of them is safety; they are meant to keep you from the potential danger of falling from a high building. Without balustrades, everyone in your home or building is susceptible to more accidents and other hidden dangers. Timbacore balustrades come in a variety of wood and designs. We manufacture, supply and install wooden balustrades for a range of applications. If you are looking for high-quality wooden balustrades for your home or office building in Cape Town, contact Timbacore today! 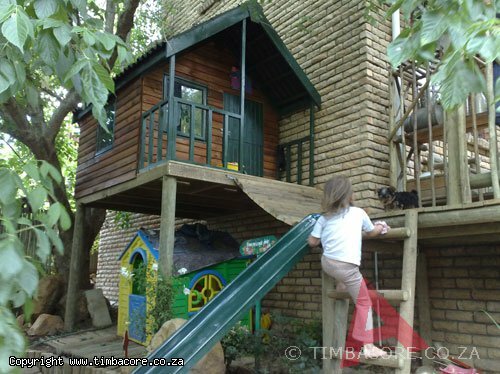 Timber structures have become a very popular feature in many gardens in South Africa. There are variety of wooden structures available; the main ones are log cabins and Wendy houses. The cabins resemble a timber home, and can be used as guestrooms, storage facilities and as playhouses for children. Wendy houses have many uses and purposes; if you are planning on installing one, it is important that you comply with the South African building codes. Wooden Wendy houses have a more natural look and will easily blend in with the garden environment. The Wendy house is a preferred structure to have in the backyard mainly because they come in a variety of impressive designs and they are easily customisable. Another advantage of wooden Wendy houses is their mobility, they can be moved anywhere around your garden. If you are looking for a Wendy house that will not be damaged during the rainy seasons, find one that is manufactured from water-resistant wood. Timbacore is a supplier of high-quality timber products that are real value for money. We will design and manufacture your Wendy house according to your specific requirements and needs. The Timbacore installations department takes pride in delivering the best service at all times; strict quality measures are put into place and site preparation is done before installation. We install all over Cape Town. For more information on our Wendy houses, please contact Timbacore. The South African climate is really good to us in the summertime; it allows one to host and entertain friends and family outdoors. A braai is the perfect setting for outdoor entertainment; therefore, you need a great area for your guests to relax in your garden. A wooden deck is an ideal addition to your garden, not only is it aesthetically pleasing but it also strong. Choosing the best wood for your decking should be based on its lifespan and durability; Balau wood is the best choice for decking due to its strength and functionality. Balau wooden decks are stylish and add value to your property due to their luxurious look. Timbacore is a premium timber company that supplies high quality timber products for all projects. We offer an excellent service to all our customers by providing products that are great value for money; we also design and manufacture products to meet our customers’ specific requirements. For more information on our products and services, contact Timbacore today.